The Art Academy celebrates over 140 years of educating artists and designers and in 2011 the full-time student enrollment (FTE) is currently 232 students, up 13 percent from last year. This year AAC welcomed a record-breaking 84 new students to the Academy?s Class of 2015. Of the Class of 2015, 30 percent represent out-of-state students, and another 60 percent come from outside Hamilton County. The Art Academy of Cincinnati has been issued a certificate by the Ohio Board of Regents to grant a Bachelor of Fine Arts degree, a Master of Arts degree in Art Education, and an Associate of Science degree in Graphic Design. The Art Academy of Cincinnati is accredited and is a charter member of the National Association of Schools of Art and Design (NASAD) and the Higher Learning Commission of the North Central Association of Colleges and Schools. 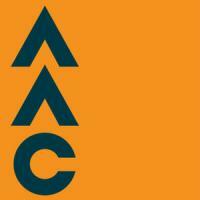 The Art Academy of Cincinnati is also a charter member of the Association of Independent Colleges of Art and Design (AICAD), a consortium of 36 professional colleges of art and design. Today, the Art Academy of Cincinnati finds its greatest strength as one of the smallest four-year art colleges in the country. Students receive individualized attention from faculty, the freedom to develop their personal vision, and a unique opportunity to carve out their identity. Located at 12th and Jackson Streets in historic Over-the-Rhine.